Tune into Radio Carly: Six podcasts about disabilities, chronic illnesses and mental health that I love. The hands-down best thing about the Internet is how it's allowed so many of us (especially from marginalised communities) to have a voice. We can all be media makers and have an audience. And the first-person perspective is so valuable - and increasingly more prevalent. Five years ago, it was other people telling out stories. And now we are doing it for ourselves. 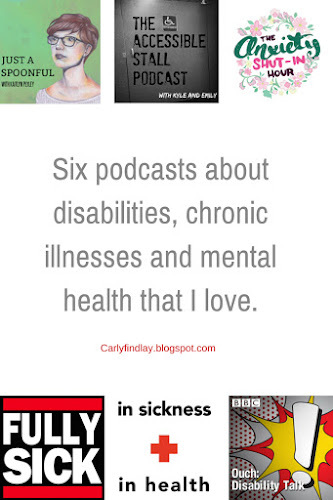 These podcasts are all hosted by writers who have disabilities, chronic illnesses and mental illnesses. I especially like these podcasts because they discuss broader issues around disability, chronic illness and mental health - issues sometimes difficult to acknowledge individually when we are wrapped up in the day to day of coping, and sometimes hard to discuss with others affected by our conditions. Disclaimer: I'm soon to be featured on three of these podcasts. I'll let you know when my episodes are up. Please also note that none of these podcasts apart from The Accessible Stall and In Sickness + In Health have transcripts. Jenny is an Australian writer, radio presenter and marriage celebrant. In the middle of last year Jenny got in touch with me, recommending a hairdresser for my wedding (who I contacted and contracted - and she made my hair fabulous!). Later in the year, Jenny wrote to me again to tell me about her planned podcast and invited me to be interviewed. Of course, I said! Jenny has fibromyalgia and spent all of episode one talking about her experiences with her wife Tracey. She is upbeat and is incredibly giving with her story. Jenny interviews a different person with a chronic illness or disability in each episode. The guests have shared so much about themselves and I've learnt (and empathised) a lot. She's three episodes in, and I'm enjoying it very much. She's got a great rapport with guests, and she's funny! I really like the medical and psychological perspectives from two professionals, too. Listen here. Follow on Facebook. 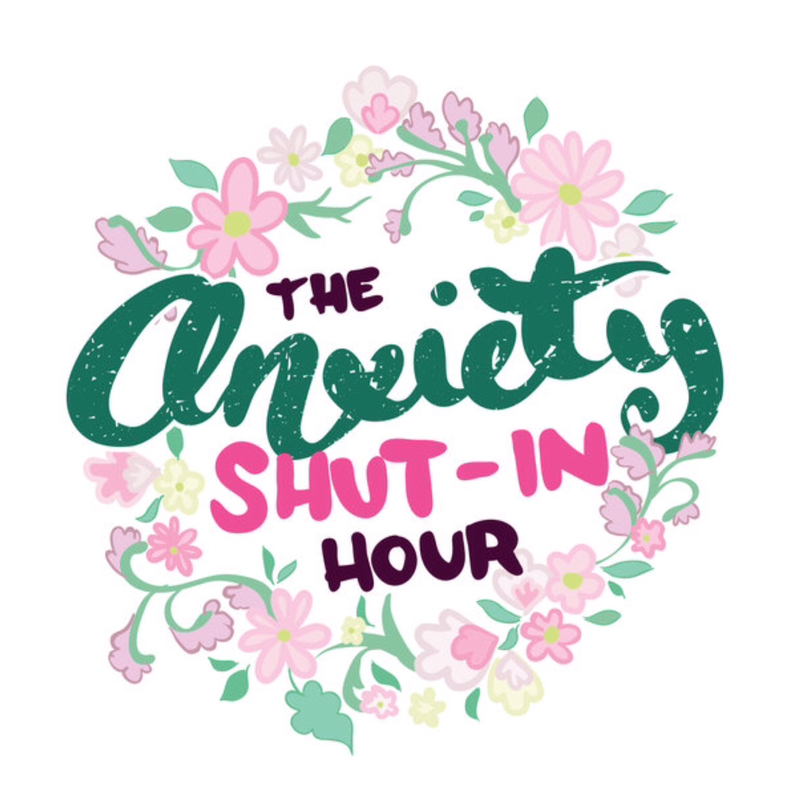 Anna and Erin talk about anxiety, depression and suicide on the Anxiety Shut-In Hour. I've listened to a few episodes, and I've learnt a lot about mental health. The women are articulate - speaking about themselves, current issues and offer useful advice for people living with mental illness. The intro theme is very kooky. Listen here. (And on other platforms listed on the podcast website.) Follow on Facebook. Also, Anna has written a beautiful debut novel which is on one of my favourite books ever. Every sentence is breathtaking. Seriously read it. I am in a wonderfully supportive writers group on Facebook and one day I saw a post by Kaitlyn Plyley, an Australian writer and performer. She wrote of a massive achievement for her podcast - interviewing Jill Pantozzi, a US journalist. I asked Kaitlyn where I can find her podcast, and she posted the link to her website. I immediately downloaded all the episodes and have been listening to one episode a week. And I love it! I love the long form conversations she has with her guests. 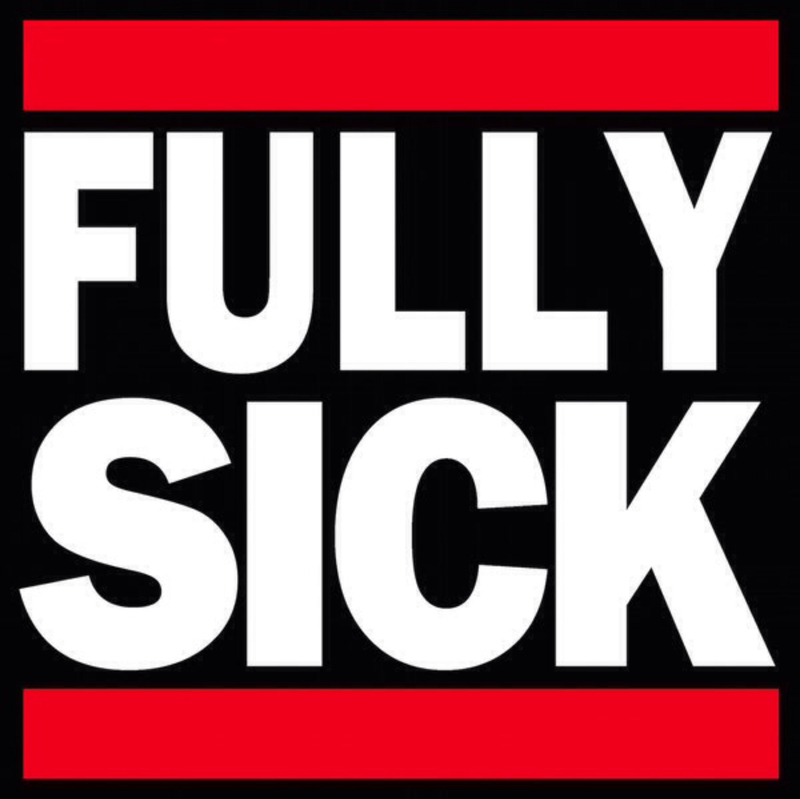 Like with Fully Sick, each guest has given so much of themselves. 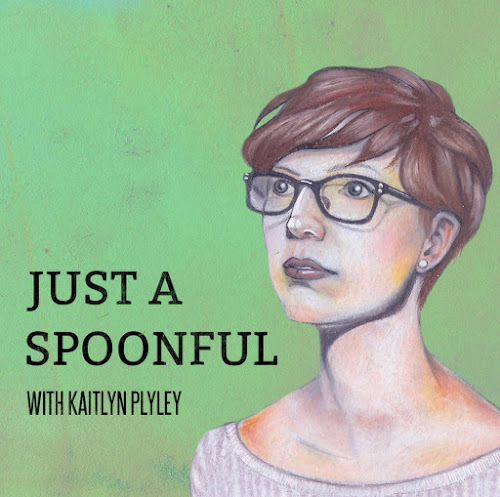 Much of the discussions are wider than chronic illness - Kaitlyn and her guests chat about all sorts of things including career, pop culture, fashion and life in general. I loved the chat with Amy Dallas - a young woman who is so incredibly accomplished and driven. The theme song is pretty, and I often find myself humming to it, even when I'm not listening to the podcast. When Kaitlyn interviewed me for the podcast, we giggled so much. Gosh it was fun! She looks a bit like Justin Bieber, and we both love Darren Hayes. She's just moved to my city and I cannot wait to meet her in person. I told her I have a crush on her accent. Stella Young first told me about BBC Ouch when she was launching ABC Ramp Up. 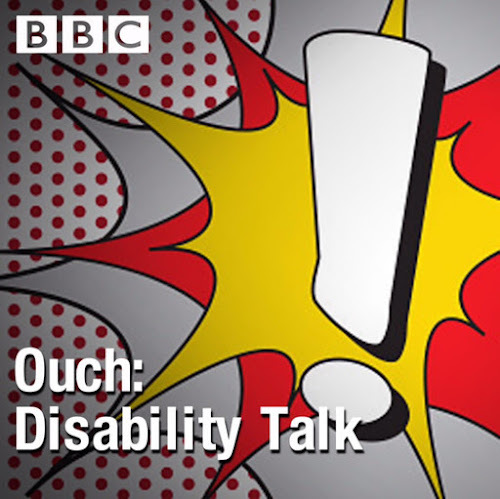 It's a UK radio program hosted by UK journalists with disabilities. The hosts cover issues around accessibility, disability politics, British politics, media, arts, identity plus more, and interview guests with disabilities. I love that this puts disability in the mainstream. And there's a BBC Ouch blog, too. Listen here. Download from the BBC website. Follow on Facebook. 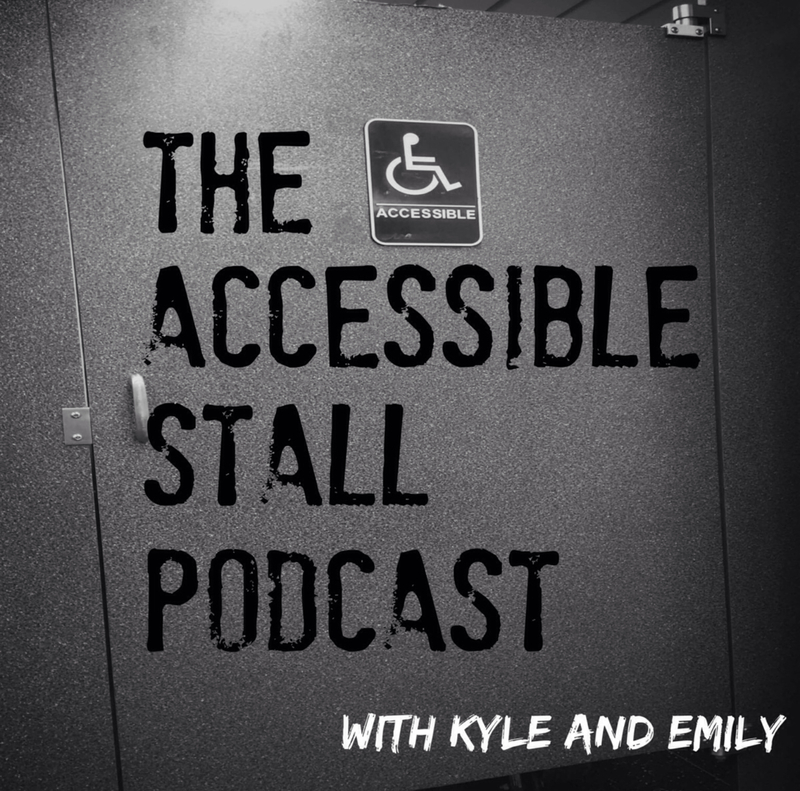 Emily Ladau is one of my favourite writers and disability activists, and so I was excited to see she has recently released a podcast with her co-host Kyle. Fangirling! The hosts don't always agree on everything, and this is the beauty of listening to them. The episode about identity is a great example of this. Emily sees disability as part of her identity "just as much as being Jewish and being female - a large aspect of what makes me who I am", she said. But Kyle doesn't feel the same. He acknowledges his disability, but it "means as much to me as being a male or brown-eyed - it doesn't really have any intrinsic value", he said. "It doesn't play into the person I am, though I give it credit for playing into the person I became. It's just there." They've also made me think about things differently - since listening to the episode about the pre-cut fruit, it's made me consider what's worth speaking up about. It can be easy to het outraged about a seemingly little issue, especially when it's a collective effort, but that means it can also detract our energy from advocating for/against bigger issues. Listen here. Follow on Facebook. All podcast transcripts are here. I think I came across In Sickness + In Health when the podcast Twitter account retweeted a tweet of mine. I clicked through to their account and saw it was a podcast! Hurrah! I downloaded most of the episodes and have listened to each when I've had a long task to do. Similar to Just a Spoonful and Fully Sick, IS+IH features a chats with different guests with varied conditions. The conversations are in depth feature perspectives from different countries. Even though the podcast has only been broadcasting since October 2015, there is a big back catalogue of episodes. There are often bonus episodes - I love this because often at the end of a podcast, I want to hear more from the guests. The disclaimer at the start of each episode is wonderful - do not recommend any treatment to the guests, no matter how well meaning you are! I had a long chat with Cara and it was really fun! She asked me a lot about the Australian healthcare experience, and she was interested to learn how much it differs from America. Listen here. Follow on Facebook. Transcripts from a few episodes are here. I am so excited about these podcasts. They really are great listens that feature interesting people, and I've come to make some genuine friends with some of the hosts. Do give them a listen. Some podcasts can be downloaded (saved and/or streamed) from program websites. Many are linked to radio programs and can be streamed through their websites. You can also download podcasts through apps on your computer, tablet or phone. I listen to mine on my iPad and iPhone. You can download through iTunes (this is how I listen to them) or other apps such as Stitcher. A list of 10 great podcasting apps for many operating systems can be found at Tom's Guide. I listen to podcasts on iTunes, and have linked to the iTunes podcast stream for each podcast here. But I've also included the websites for all of the podcasts in this blog, so click on the links for more listening options. 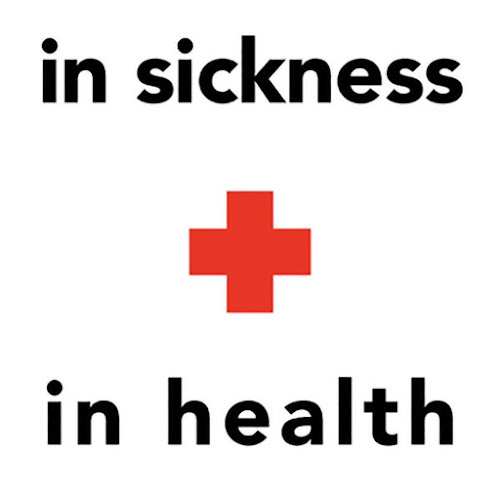 What chronic illness, disability and mental health podcasts do you recommend?